This time around we are going to take a basic look at underfloor heating. There are many different types of systems out there which can end up being very confusing for the end user. There's then the question of is UFH suitable for you home and do you really need it, or will it produce enough heat for you needs. To keep things simple we will talk about two different systems in this blog, the first type being a system that can go under various floor coverings such as laminate, wood and in some cases tiles without digging up any floors. This system consists of insulated preformed boards which the pipe coils click into and then your chosen underlay and floor covering can be fitted directly on top, this is basically a floating floor. This option works well for properties that don't have much floor clearance or don't want the upheaval of having to break up the floor. The heat output on these systems can be quite impressive if installed correctly and the prep work done properly, It's also far less labour intensive than a screeded floor with less room for heat loss. The next popular option is a system that is laid down ideally onto Celotex insulation or similar and then covered with screed. Any floor covering can then be laid down on top of the screed once it has cured. This system is generally a better option if its in a new extension, new build or a house that is being refurbished as the floor level can be allowed for within the architects design or can be adjusted to suit with minimal fuss and disruption as works are already taking place. With this option take into consideration the extra cost of the screed and the laying of it as sometimes this can catch people out. 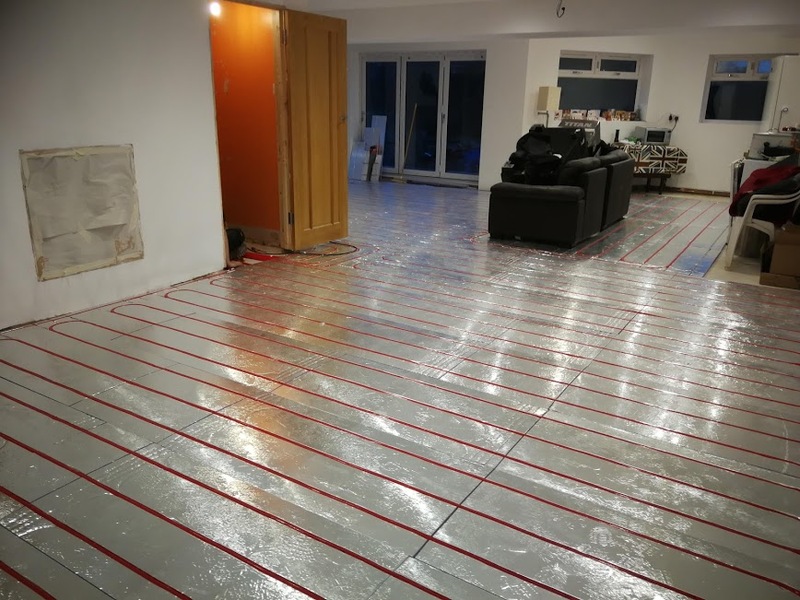 One of the only downsides to this system is can sometimes take longer to heat as it has to heat the screed slab first before it will generate any heat up into the room, it is also very important to ensure that the underside of the pipework is insulated or more heat will be lost down through the floor. 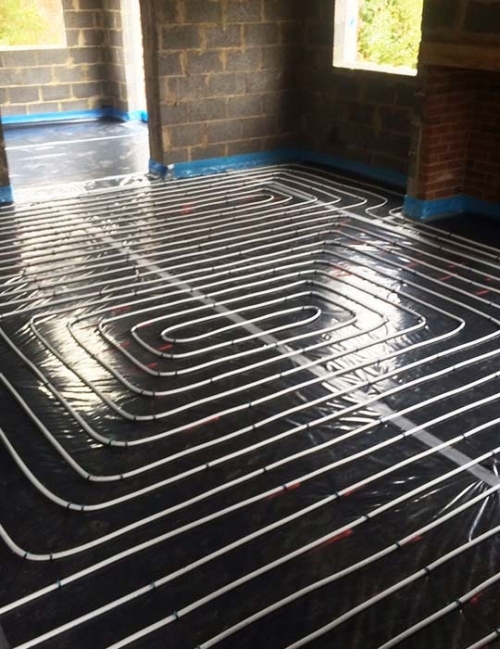 There a few things to remember when thinking about Underfloor Heating, firstly is your current boiler big enough to produce the extra output needed on top of your existing central heating system. Secondly do you have enough floor clearance to accommodate the system you wish to have installed. 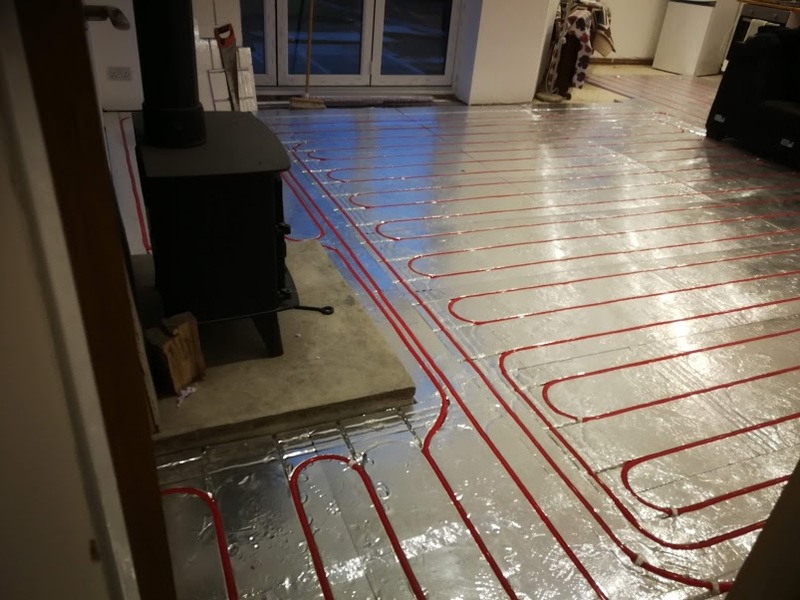 Underfloor heating can be a great addition to any home in the right circumstances but as always ensure that your installers are experienced and are offering you the correct system. If you have been considering underfloor heating or would like to find out more, why not get in touch with us here at LP Plumbing & Heating for free no obligation survey. We cover Snodland, Maidstone, Rochester, Chatham and Gravesend areas.